DUBAI, United Arab Emirates (AP) — Saudi Arabia’s Crown Prince Mohammed bin Salman was in the United Arab Emirates on Friday, on his first tour abroad since the killing of Saudi writer Jamal Khashoggi at the kingdom’s consulate in Istanbul. The prince, who arrived in Abu Dhabi late on Thursday, is also due to visit other Mideast countries, where he will be warmly received by Arab leaders who have stood firmly by his side amid international outrage over Khashoggi’s horrific slaying. 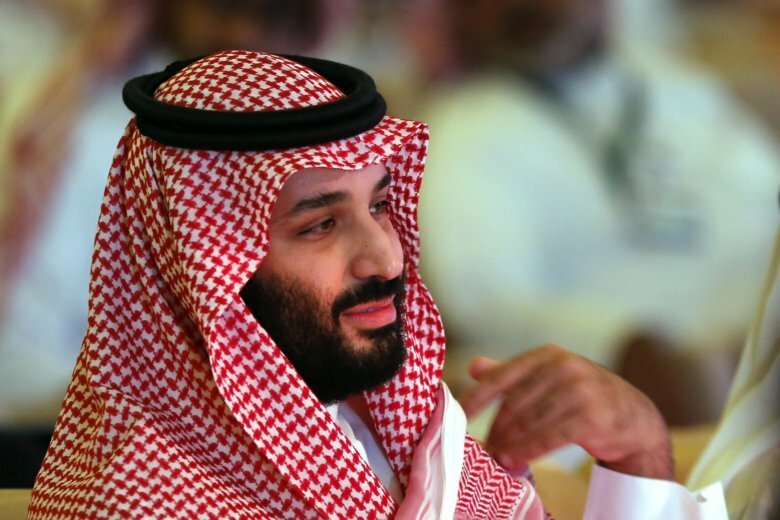 The crown prince will round off his tour with a stop in Argentina where he’ll come face-to-face with world leaders on Nov. 30 for the two-day Group of 20 summit. Among those expected to attend that summit are President Donald Trump and Turkish President Recep Tayyip Erdogan, who has kept international pressure mounting on the kingdom in the wake of Khashoggi’s killing. His tour abroad underscores the strong support the crown prince continues to have from his 82-year-old father, King Salman, and signals that he faces no immediate threats to his grip on power at home. Upon arrival to the UAE, Prince Mohammed was warmly embraced by Abu Dhabi Crown Prince Mohammed bin Zayed. The two crown princes— who also command their countries’ armed forces— are known to be close, with the more experienced Abu Dhabi crown prince reportedly offering his insights to the 33-year-old Saudi prince on past occasions. The UAE’s state-run news agency, WAM, reported Friday that the two discussed “brotherly and strategic ties” in their talks, which were attended by a wide-range of Emirati officials, as well as a number of senior Saudi officials, including the head of general intelligence, the interior minister and key advisers. Saudi Arabia and the UAE, at war in Yemen against Shiite Houthi rebels there since 2015, are also expected to take part in U.N.-led peace talks in Sweden next month. The two sides likely discussed Yemen, with the WAM news agency reporting that among those present for the bilateral talks was an Emirati official in charge of liaising with families of UAE soldiers killed in battle. Prince Mohammed is scheduled to visit Bahrain and Egypt next on his tour. He has faced intense criticism since the Oct. 2 killing of Khashoggi by Saudi agents inside the kingdom’s consulate in Istanbul. Khashoggi’s body was dismembered, and his remains have yet to be found. Intelligence officials and analysts say the operation to kill Khashoggi, who wrote critically of the crown prince for The Washington Post, could not have happened without Prince Mohammed’s knowledge. The kingdom denies the crown prince had any involvement. Saudi Arabia initially said Khashoggi had walked out of the consulate before shifting its account of what happened amid Turkish intelligence leaks. Saudi Arabia is now seeking the death penalty for five of those accused in the killing. The U.S. has sanctioned 17 Saudis involved in the incident, including one of the crown prince’s closest advisers who was fired from his post after fallout from the killing. On Friday, Turkey’s Foreign Minister Mevlut Cavusoglu said the Saudi crown prince has requested to meet Erdogan on the sidelines of the G-20 summit. Turkey sees no “obstacle” for the meeting, Cavusoglu told Turkey’s CNN-Turk television, but added that Erdogan would make the final decision. It would be the first meeting between the prince and Erdogan since the killing, though the two have spoken by phone once since then. Cavusoglu also criticized Trump, saying the U.S. leader appears to want to turn a blind eye to the killing. Associated Press writer Suzan Fraser in Ankara, Turkey, contributed to this report.